This section gives a quick overview of where to look in Metric Insights to determine which elements (Metrics or Reports) to use in your API calls. In these examples the elements contain Alerts, Annotations, Notes and other items that you might want to pull via API to your website. 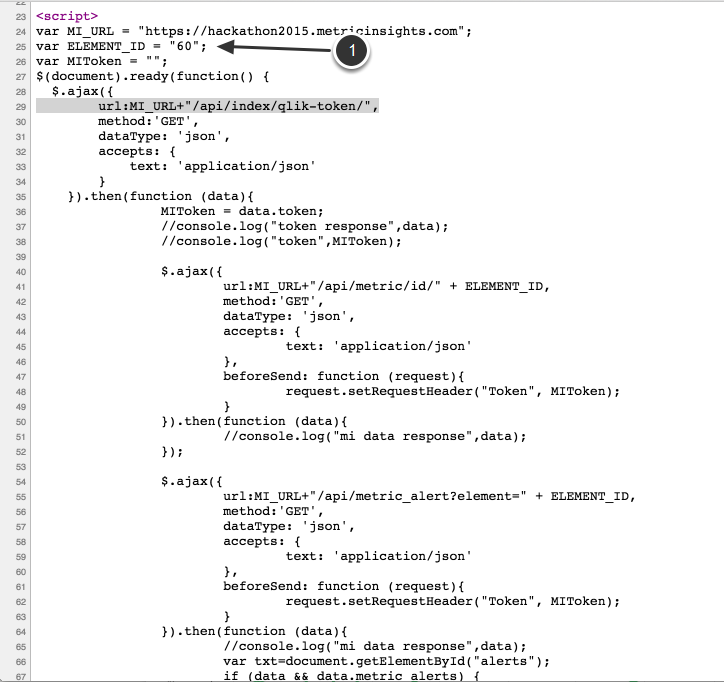 NOTE: The format of the API Test Tool is slightly different in Version 3. 1. 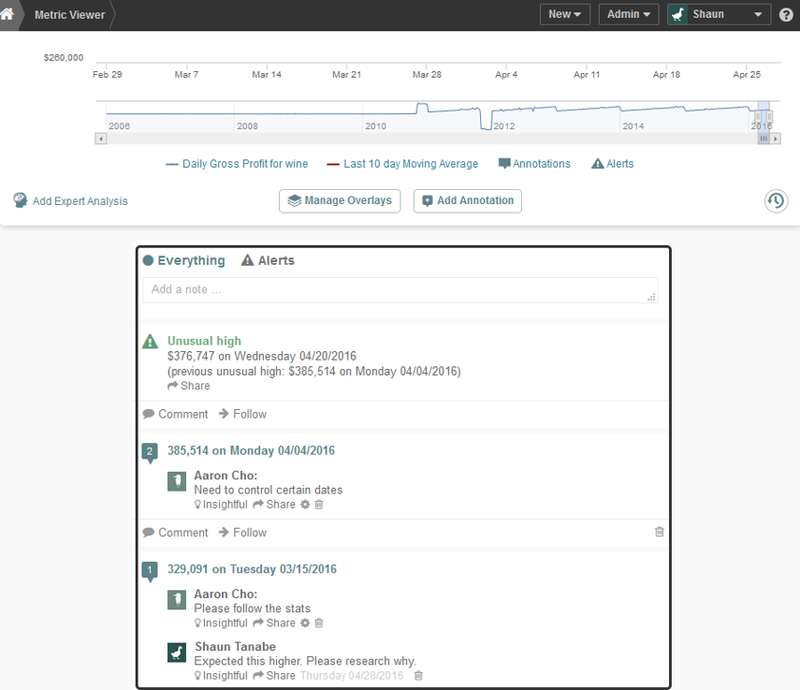 In this example we just hardcode the Metric Insights element ID that contains the items we are interested in such as Alerts, Annotations and Notes. 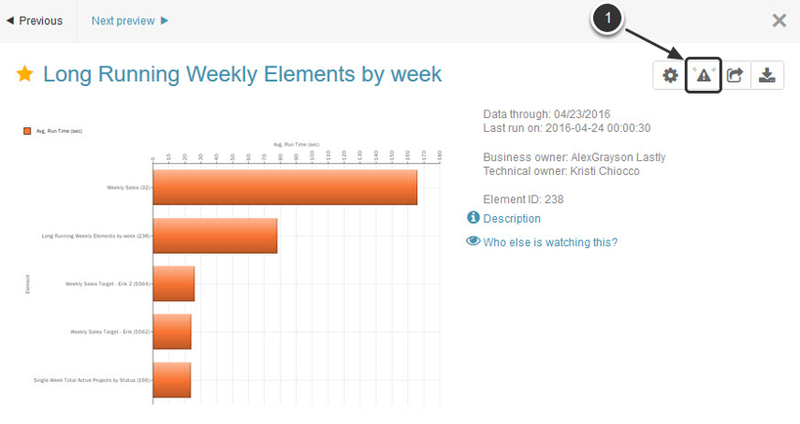 The next sections give you tips on how to determine which Element ID to use. The Metric is what is used in Metric Insights to trigger the Alerts; so use this element in your API calls to get the Alerts, Annotations, Notes and other items. 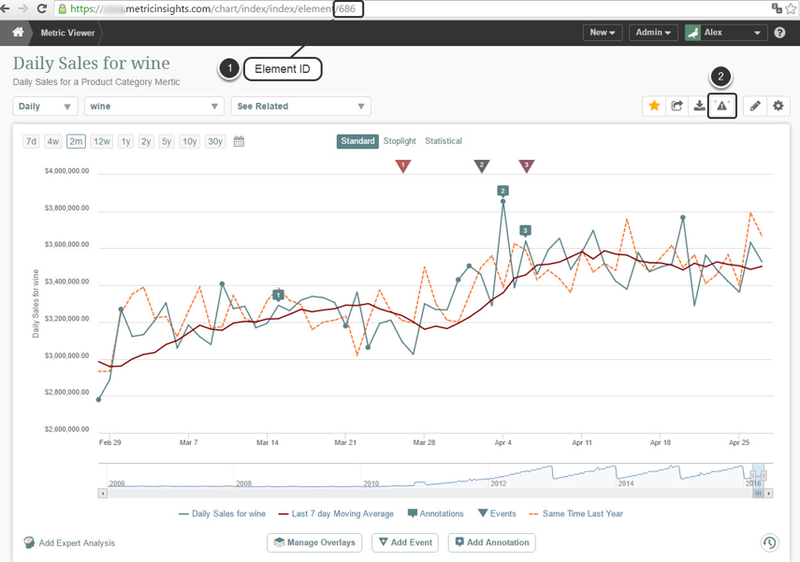 In the Metric Viewer, scroll down to see the Alerts, Annotations, and Notes added to your Metric. These are the same items you can pull into your website using the API. 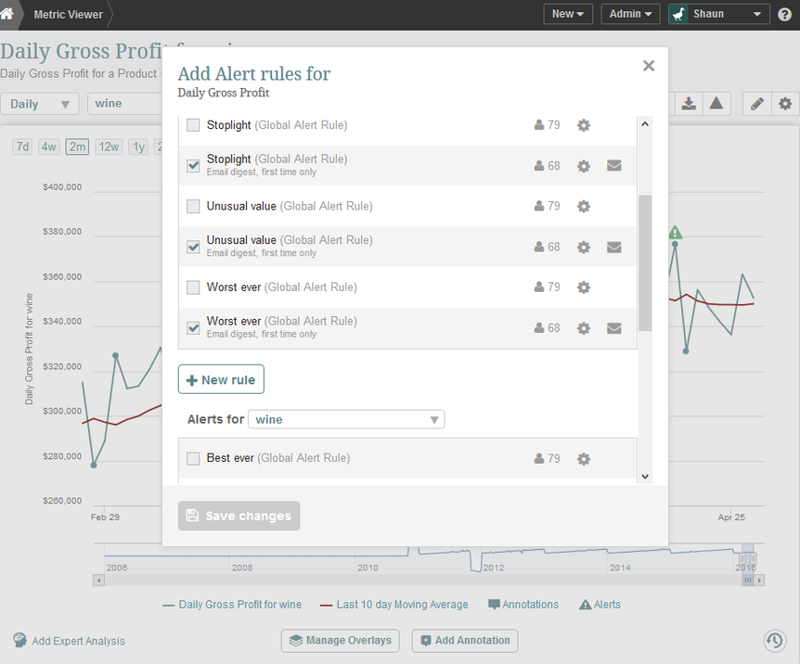 In the Metric Editor, switch to the Alerting tab to see the Alert History for your Metric. These are items you can pull into your website using the API. 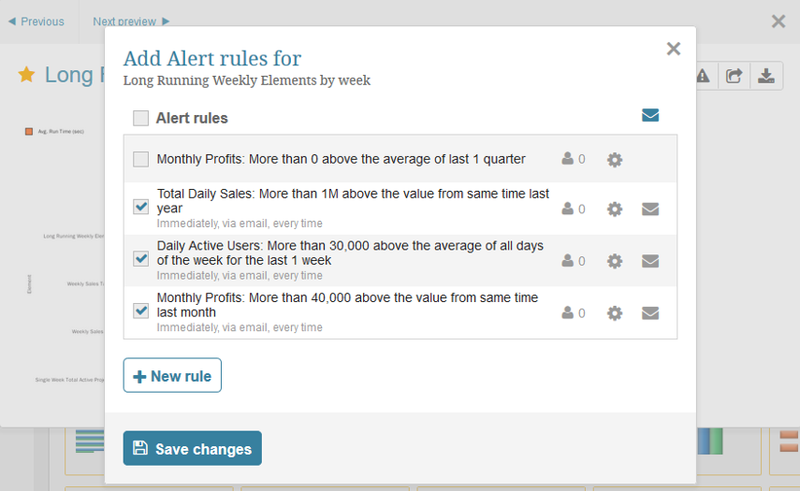 If your Alerts are sent via an Image of your dashboard from your Business Intelligence application, then you can view the corresponding Alert Rules directly from the Metric Insights dashboard.